Edmonton is a huge metropolitan area located within Alberta in western Canada. There are approximately 1.23 million people in Edmonton, and this also means a wealth of cultural sites within the city. 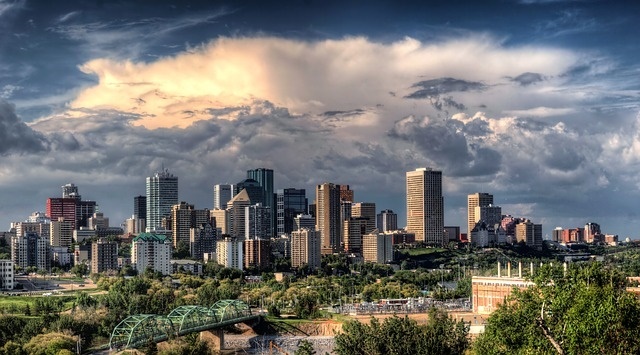 Despite being the center of Alberta’s petrochemicals industry; Edmonton is most famous for its outdoor beauty, amazing river system, and a variety of outdoor activities and sites. This unique mix between industrial and rural makes Alberta’s capital a fantastic city to explore by Edmonton Airport motorhome rental, campervan hire or RV rentals. The easiest way to begin your trip is to get a recreational vehicle (RV) rental in Edmonton International Airport. Because Edmonton is so large, there is a fairly well-developed transportation system catering to all types of vehicles including campervans. 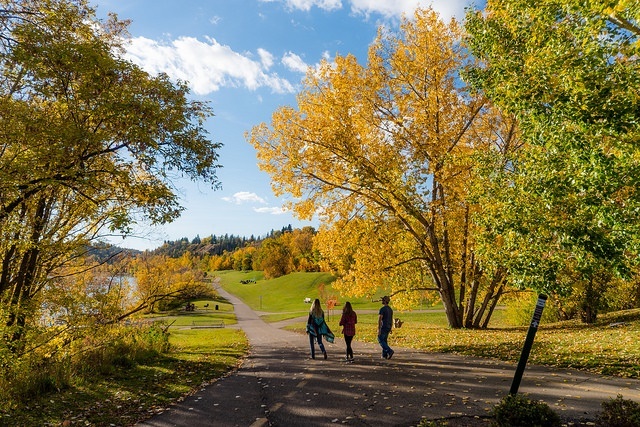 The vast expanse of urban parkland in the North Saskatchewan River Valley just two miles south of downtown and the greater outdoors beyond the city boundaries translate to numerous motorhome service providers like Apollo Campervan Hire, Cruise Canada RV Rental, CanaDream RV Rentals and Fraserway RV. After parking your camper rental from Edmonton International Airport across the river, take a peek into Alberta and Edmonton history at the Alberta Legislature and the Royal Alberta Museum. For a more modern look at Edmonton, head to the West Edmonton Mall, the largest shopping centre in North America, a sure haven for shoppers of all budgets. About 25 minutes east by motorhome hire from Edmonton International Airport is the Ukrainian Cultural Heritage Village featuring historic buildings, churches, a grain elevator and blacksmith shop. 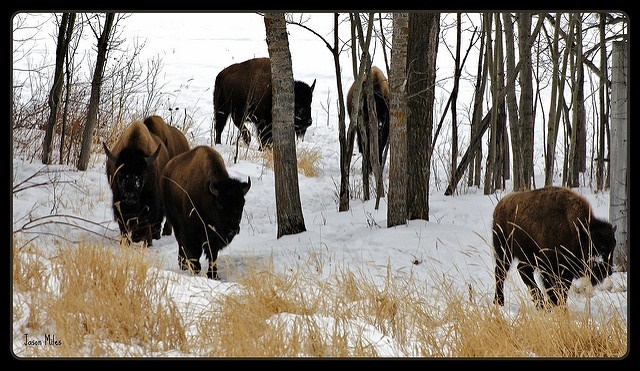 Thirty minutes farther east is Elk Island National Park, another must-see. Take your Edmonton Airport motorhome rental a bit farther out and head to the Viking Ribstones Historic Site. The area features a Scandinavian themed park and petroglyphs dating back 1,000 years. Before leaving the Edmonton, Alberta area, explore the North Saskatchewan River Valley a bit more. The parks’ recreational trail is a long-winding 100 kilometers; and offers visitors hiking and walking trails, wildlife viewing and water recreation, among others. You can easily find a spot for your campervan hire in Edmonton International Airport; so you can take in all that the valley has to offer. If you visit any of the parks during the fall; you may even get a splendid view of the Northern Lights. A well-stocked Edmonton Airport motorhome rental is essential for the short and pleasant drive to the Canadian Rockies. Replenish your campervan hire as you enjoy the culinary offerings and nightlife of Calgary, Alberta’s most populous city three hours out of Edmonton and along the way to the Canadian Rockies. As the prairies taper, you will be met by alpine meadows, turquoise lakes, snow-capped peaks, rushing rivers and wildlife loitering in public places in the northern extension of the Rocky Mountain chain that forms the spine of the western United States. Less than five hours south of Alberta’s capital is the postcard-perfect Banff National Park teeming with visitors regardless of the season. Farther up lies the much bigger but less commercial Jasper National Park; where vast icefields, glaciers and a well-laid out backcountry trail system make a year-round playground for outdoor lovers and adventurous spirits of all stripes. 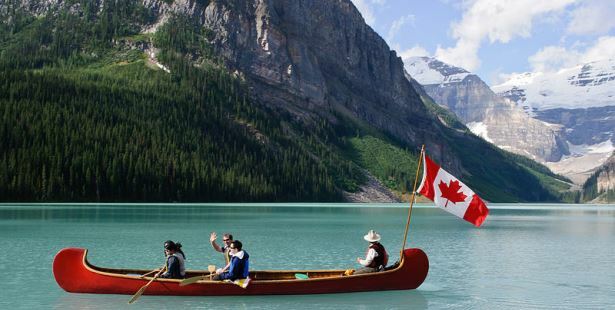 Beat the summer crowd and pitch your RV rental from Edmonton International Airport at the Columbia Icefield Campgrounds; halfway between the town of Jasper to the north and the magnificent Lake Louise to the south.